I am sure you have all heard the saying: A banker is someone who lends you an umbrella when its sunny, and takes it away when it starts to pour! Well, although we can all laugh about this, but at the back of our minds we all know its true. Look at it from their perspective: most of the bankers are only rewarded with bonuses if they do well but if the loans they give turn bad, they will lose their jobs. So, you can say that their risk -reward ratio is a little skewed towards being conservative. In any case, we need the bankers, as that's the only way we can get leverage. Otherwise how are you going to acquire millions of ringgit worth of rental properties? certainly not by deploying your own cash. So, we need to know what bankers' rules are and play by or around them. 1) they won't loan you money when you really need it. That's a fact. Try going to the bank and asking for a loan when you don't have a job or a pay slip. The banker would smile and promptly show you the door. So, having a pay slip helps: the bank will loan you a percentage of your gross salary and this can range from 60 - 85% depending on their risk appetite (also known as DSR or debt servicing ratio). So if you earn 10k a month, the max in terms of monthly repayments would be up to 8.5k. You can then work backwards and figure out how much properties you can buy. 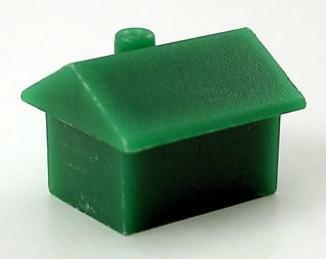 The bank wants you to have some equity in the property; some 'skin in the game', as they say. So it won't be so easy for you to walk away if things turn bad. But sometimes, you do get crazy situations like in the US prior to the subprime crisis where the banks were giving away loans which were way above 100% of the property value, and to people who could never afford it (even if they repaid it in 2 lifetimes!). But in most cases, banks want you to have at least 10% equity if its owner-occupied or 20-30% if its not. So, if you are looking to finance your rental properties 100% - see my earlier blog on "no money down". 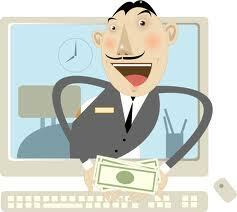 It is important to maintain a good track record with the banks on your existing loans. Being a little late in paying is acceptable but not behind in your payments. If you don't pay them after 3 months, you get black listed, and the bank may start legal proceedings to recover their loan. You may lose your property if they move to foreclose. But more importantly, this sort of thing may affect your ability to borrow more, to finance your rental properties portfolio in future So, make sure you are on top of your instalment payments - its just good business. Yes, if you are looking to buy a really good piece of property, and need to close on it fast, then the bank is not the place to go. The banker is in no hurry to loan you the money; they work at their pace and not yours. I have never met a banker that has the same urgency as I have when faced with a super deal. So, in such situation, you need to have some back up financing. Borrowing from family and friends, or finding other equity partners may be better alternatives. And, then later financing it through the bank. That way, you are more likely to close on a good deal. Much less stressful than praying for the banker to come through with the loan when you need it! Well, those are the four things I have experienced with bankers. Let me know if you know of more.